Hayman Wildlife Management proudly provides complete wildlife repairs throughout Southwestern Michigan including Stevensville, Benton Harbor, St. Joseph, and surrounding areas. We are a full service Nuisance Wildlife Control company that provides services to remove animals. Once our Wildlife Experts have removed the animal from your property, there are usually damages that the animal has caused to your home or business. 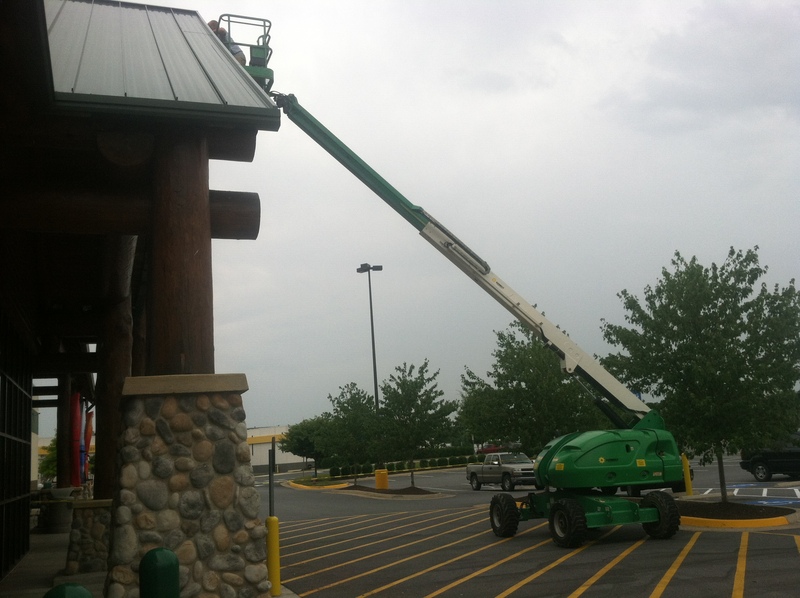 All of our repair services are performed by our highly trained Wildlife Repair Team. Our Wildlife Experts perform all repair services. We specialize in contaminated insulation removal and replacement, roofing repairs, sheet rock repairs, duct cleaning, siding repairs, and much more. Our Wildlife Experts are expertly trained and fully insured to handle all wildlife repairs. Animals can be very destructive while they are on the hunt for food or finding a place to have their babies. The most common types of repairs we come across are chewing through fascia boards, roofs, and ripping vent screens. All of these damages are a result of an animal trying to gain access to your home or business. It is estimated that wild animals will do over $5 billion worth of damage in the state of Michigan, this year alone. The Wildlife Experts at Hayman Wildlife Management are specially trained and equipped to handle all of your wildlife problems. Hayman Wildlife Management also has animal waste removal professionals and insulation repair technicians. Call 269-588-0176 to schedule an inspection today.